I think by now most of our regulars know we love oil. We've recently launched a product for those of you who either have a manly beard, or have manly men in your lives. Theres nothing worse than having someone with an itchy beard rub this chin on your skin, Im sure. I don't know cause no one loves me, but Im guessing. So we've made this beard oil to help soften thy beard as well as the skin, making it more manageable, strokable and healthy. It also promotes healthy facial hair growth and will prevent "itchy" beard complex. We're selling through Etsy, both local and worldwide at £10, with p&p on top. They are Handmade on order, and are supplied in dark glass bottles to prevent oxidation from light. Supplied with a pipette for easy and precise dispensing. Yes, totally self promoting here, but its all good! It makes a great present for guys, so even if you don't have a beard, you can still get one for a guy who does! 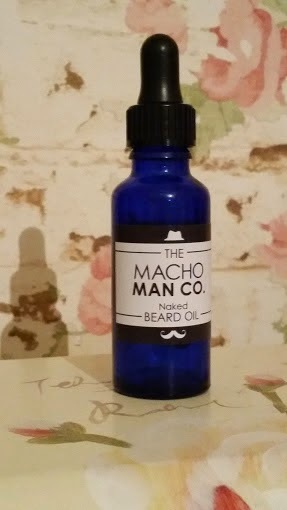 Beard, Oil, The Macho Man Co.
Wow, congratulations guys. Hope your phones don't stop ringing! This is fab! how about putting up your concoction of hair oil for women please! !